When an elder relative is admitted into a nursing home, trust is being placed in an establishment. Unfortunately, this is not always the case. 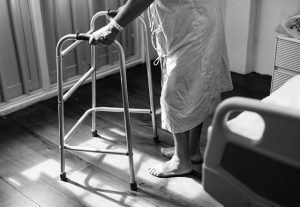 Nursing home abuse and neglect happen more than you think. It can be hard to tell if your loved one is being abused or neglected by nursing home officials. Hopefully, these warning signs from NextAvenue.org, will help you identify if your loved one is being mistreated. Poor Hygiene: Keeping our hygiene updated with social norms may be something we often take for granted. It is possible that an older person is unable to bath themselves, brush their teeth, change their clothes, or do anything else necessary to keep their personal hygiene up to standards by themselves. If you notice that your loved one is not being taken care of, it might be the result of nursing home neglect. According to an article in the New York Times, one of the leading causes of nursing home neglect is a lack of dental care. If you notice this, it may be a red flag that the nursing home is not living up to their fullest potential. Unsanitary Living Conditions: Nursing homes are required by law to upkeep a clean and safe living area for all of their residents. A lack of staff or a high turnover rate can lead to a drop off in this area. Cleanliness in nursing homes is of the utmost importance. A dirty living environment can lead to sickness, infections, and other health hazards. In addition to cleanliness, nursing homes are required to have security in place to create a safe environment for their residents. If there is a lapse in security at the nursing home your loved one calls home, you may want to start asking questions. Malnutrition and dehydration may be harder to identify than other physical issues, like abuse. If you notice that your loved one is more sickly than normal or that they have lost a lot of weight in a short period of time, it may be time to start asking questions. According to a survey from 2015, 20% of nursing home residents have suffered from some form of malnutrition. Lack of Mobility: As you may already know, naturally, it may become more difficult to get around as you age. A quality nursing home will put together a plan that involves getting their resident up and moving around. Whether it is scheduled walks or other activities, getting up and moving around has many benefits. Walking around can help build muscle tone, reduce spasms, and improve circulation. One way to detect whether the nursing home is getting your loved one up and moving is if they are starting to develop bed sores. Bed sores begin to develop when a person is in bed for an extended period of time. If bed sores are not taken care of properly, they can lead to further health issues down the line such as infections. Psychological Issues: Psychological issues can be difficult to detect. Psychological issues can arise from other abuse or neglect issues. A few warning signs of psychological issues are mood changes, distrust in the staff, or a decrease in sociability. If you detect changes in the behavioral or psychological state of your loved one, it may be a sign of something else. If you detect any of the aformetnioned warning signs in your loved one, it is time to start asking questions. If you are not getting the answers you hoped for, ile a complaint and being your search for legal counsel.